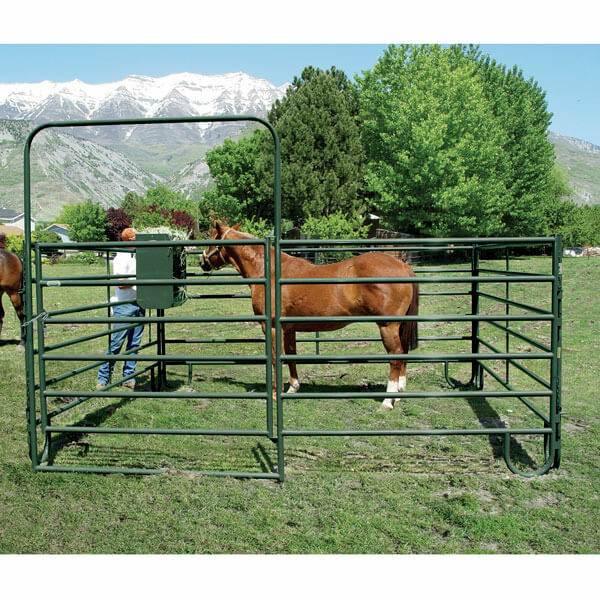 The Powder Creek combo gate is a gate and a panel built into a 12 panel size. There is a 6′ wide gate and 6′ of panel. 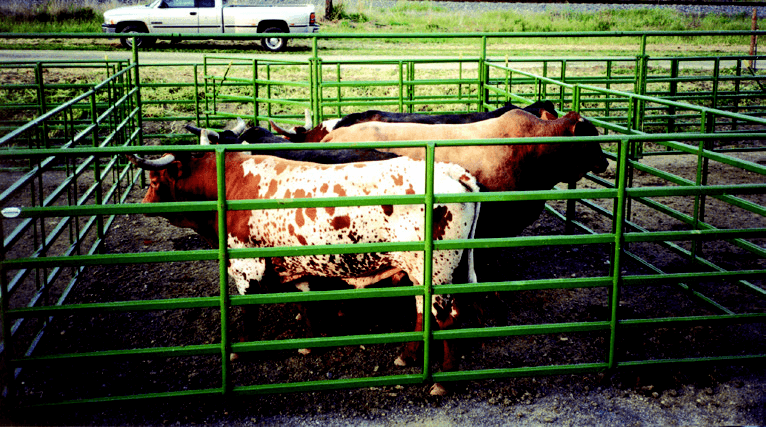 The bow frame of the gate is 8′ high and made from 13 gauge tube steel. The gate itself and the panel section is constructed from 18/20 gauge steel. 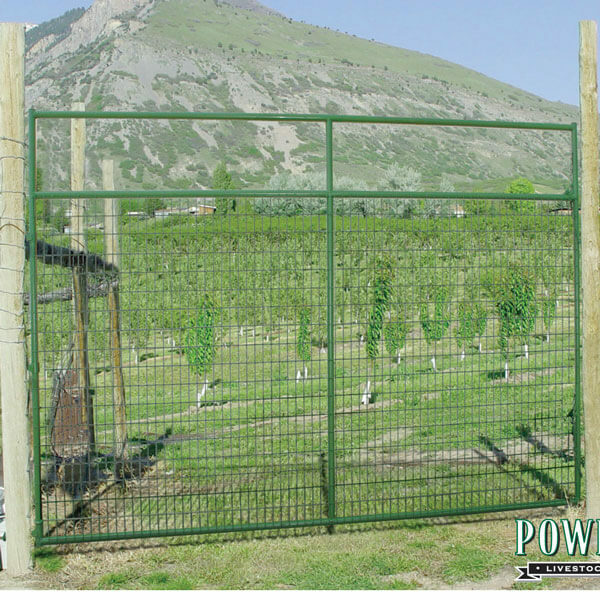 The gate features a chain latch and the entire Combo features pin and clip connectors to allow it to pin up to any other Powder Creek or Powder River products. 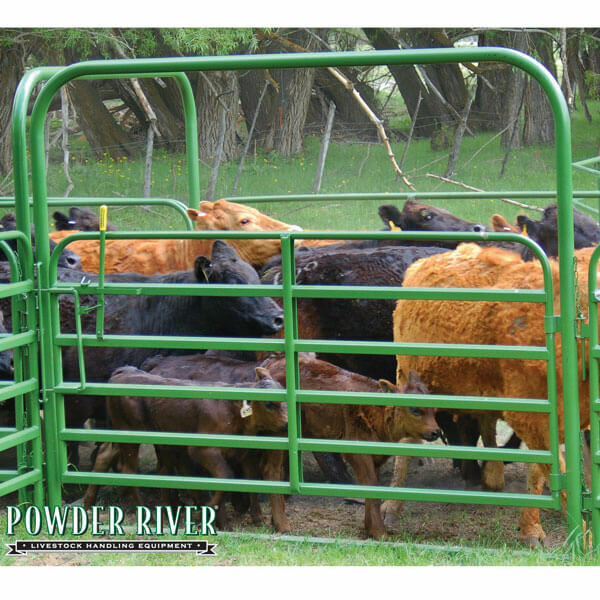 It is finished with a durable powdercoat to match the Hunter Green Powder Creek product line.